Also, agree with Jason on his views that AutoCAD Map 2007 lacks a lot of GIS analysis functionalities and thus will not replace ArcGIS as is. But our company is a surveying company and mainly deals with data integration and management. We do not really use or do any spatial analysis functionalities. 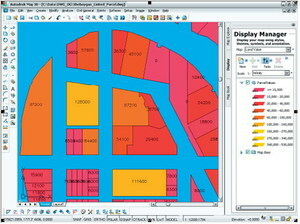 That might actually make ArcGIS more replacable by AutoCAD Map 2007. But we still are very concerned about the fact that features created as ARCs in AutoCAD Map 2007 cannot be stored as is ArcSDE and is automatically intensified into a series of line segments. Currently we are trying to figure our way around this. Any ideas? 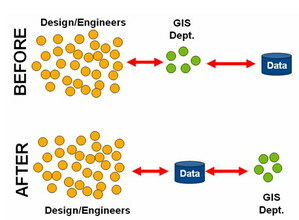 Correct, if your organization creates and edits GIS data than the best-of-breed product is a CAD application such as Map; especially with the numerous FDO feature source providers. An ArcGIS administrator would therefore only need to create and manage privileges to feature classes in SDE reducing your software cost. yes you are right. 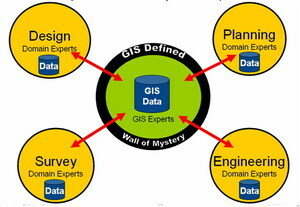 There are a lot of persons in this field who have no domain expertise and many non-technical persons have simply intruded in this field by taking advanatge of multi-disciplinary character of GIS filed. With the recent advancements in last few years have made the situation even worse for such persons. It is time take the corrective actions by accepting the fact that technology needs real experts and improve infrastructure and reources accordingly.